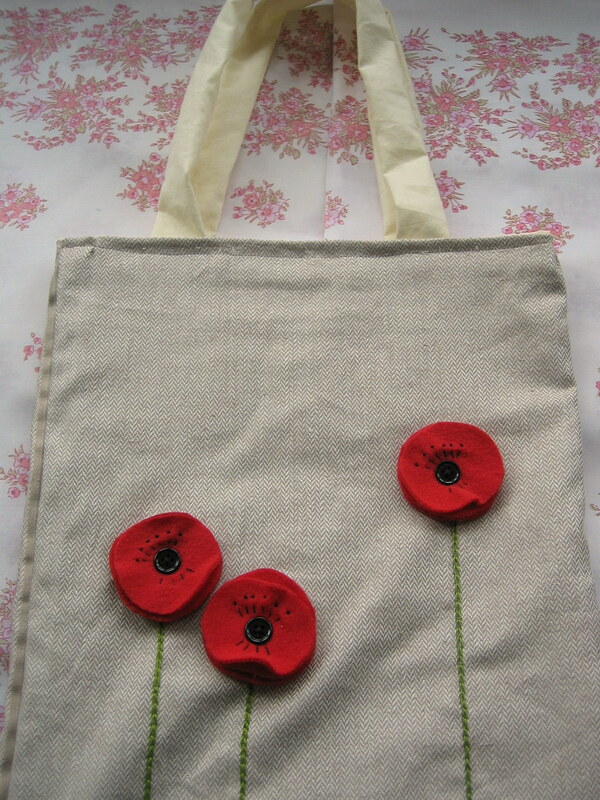 Yesterday I showed you how to make one of the poppies from my Poppy Bags. Today I’m going to show you how to make the other Poppy. In some ways this one is easier to make then the other one but takes about the same amount of time as you need to do some embroidery. 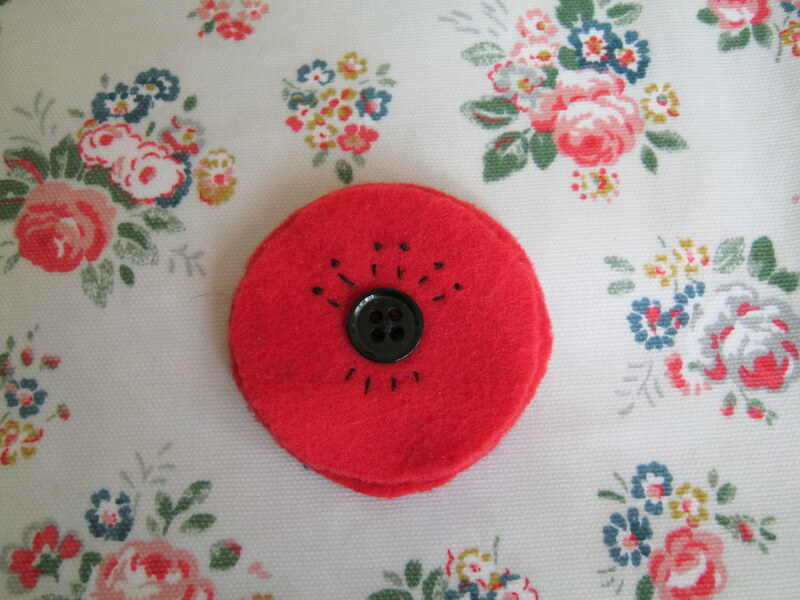 For this flower you need red felt or light fleece; a small black button and black thread. First cut out three circles from your material (however big you want your flower to be, I used a pot of moisturiser to draw round!). Don’t worry if the circles aren’t perfect as this will add to the overall effect. Put the circles together and sew on a black button in the centre of your flower. Then with the black thread, embroider the detail. I start with the top lines. Each line is one stitch. There are six stitches on the top and four on the bottom. The ones on the bottom are slightly shorter than the ones on the top. To make the little black dots, just do a french knot. As you can see here, I added them to a bag but you could put a brooch back on them and make them into a brooch. Also experiment with the size of both of the flowers to get different effects. Hope you have fun creating your own flowers!